Flowers play a massive role in weddings, from the bouquet and arrangements in the venue, to centrepieces and outfit finishing’s. These little blooms are a part of the big day, adding the finishing touches to the ceremony and reception. These last few years, Bloom Magic have seen some of the most beautiful arrangements and witnessed wedding flowers trends evolve. If you are planning your big day and are still undecided about your flower selection, have a look through our list detailing some of the most popular wedding flowers. These spring blooms are one of the most recognisable wedding flowers. With stunning shades of white, pink and cream, arrangements with peonies can be designed to complement your colour scheme or even your outfits. It’s no surprise that peony roses are such a best-seller for brides-to-be; they will truly impress at any spring or summer wedding. Arguably the world’s most iconic and favourite flower, what would a wedding be without a rose or two in sight? As such a timeless classic, roses will suit any wedding theme and colour scheme. Single roses and a little greenery will make perfect boutonnières for the groomsmen or elegant corsages for the bridesmaids. If you want to set the right tone on your wedding day, why not surprise your bride with a romantic bouquet of dozen red roses. 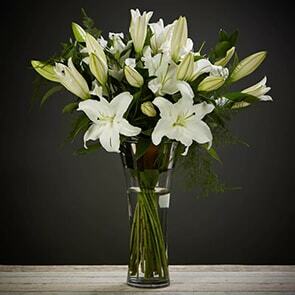 Another timeless and classic flower for any big day is lilies. These stunning blooms are the perfect addition to any mixed wedding bouquet, or even in an arrangement on their own. Available in a variety of shades and tones such as ivory, cream, whites and pinks, lilies truly would complement any bride on her wedding day and can make stunning arrangements for bridesmaids alike. Tulips recently have become increasingly popular for weddings. These understated spring blooms have stunningly large heads and are available in some of the most incredible, vibrant shades of red, pink, purple, blue and yellow. These are perfect to add a little splash of colour to any arrangement or make the perfect bouquet alone for a more contemporary feel. Our Isabella bouquet is a stunning example of a wedding bouquet with Tulips used to elevate the arrangement. Due to the variety of colours, different coloured arrangements can be used between bride and bridesmaids. Chrysanthemums, like tulips, have become a recent wedding favourite, with many brides now shifting towards more simplistic yet vibrant arrangements – think simple yet still eye-catching. These blooms, which are native to North-Eastern Europe and North America, can also be used to create the most stunning arrangements for on reception tables. Striking colours add a pop of colour and brightness to even the most neutral of palettes. These stunning and sometimes absolutely massive blooms are a popular wedding flower too. As dahlias are available in a variety of shades, they are easy to tailor any personal preference. Just few of these big flowers and some greenery and you will have a grand wedding bouquet that is sure to wow. Because of their size, they are not the most suitable for corsages or boutonnières, but they are ideal to include in centrepieces as well. A new modern favourite, anemones are a gorgeously delicate flower that will create stunning wedding bouquets. They don’t do too well with excessive heat, so if you are planning an outdoor wedding in the sun, you might see these beauties wilt quite quickly if the florist hasn’t water-picked the stems. 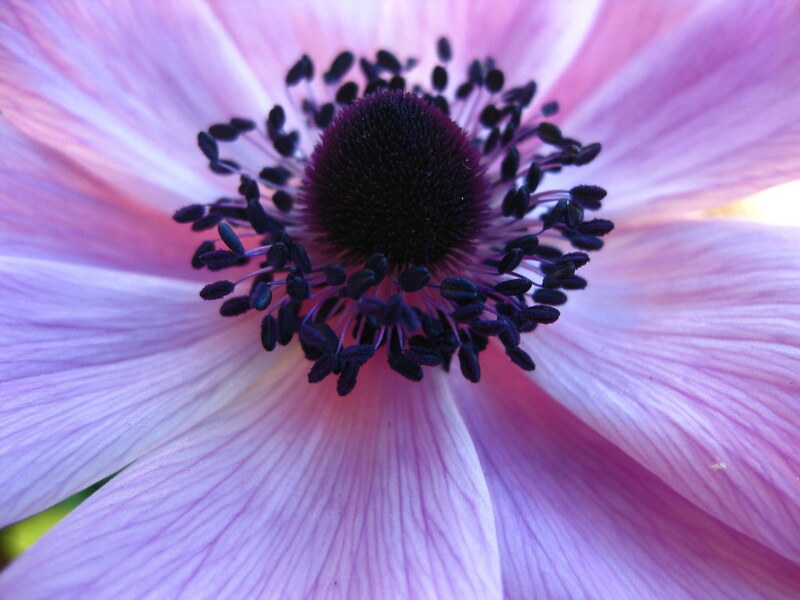 Anemones are a contemporary choice, with their thin petals and dark centres. Though often used for accents, anemones on their own will make a stunning bouquet. We hope you have enjoyed our information on some of the most popular wedding flowers. If you have any additional questions or queries, don’t hesitate to reach out to one of our agents who would be delighted to help you and are at your disposal at all times.